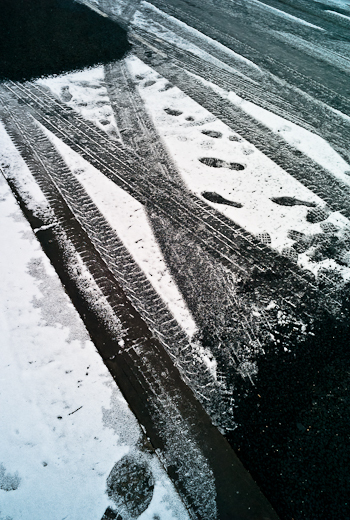 Yup, we all know snow has fallen all over the country, causing chaos, delays and disruption everywhere! But that gives one time whilst doing one's errands locally to take the trusty Leica M8 and try to capture some interesting visual notes of it all before it turns into sludge and memories. to a dog bursting with energy running back to its owners. 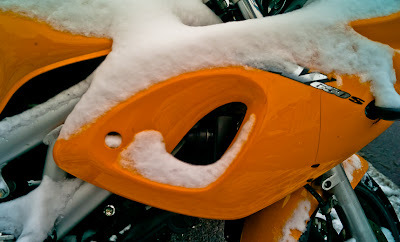 and a motorbike covered in snow, there are visual treats everywhere! So I end the day with a slideshow of snow in Fulham.